Snowboarding – we do it all! 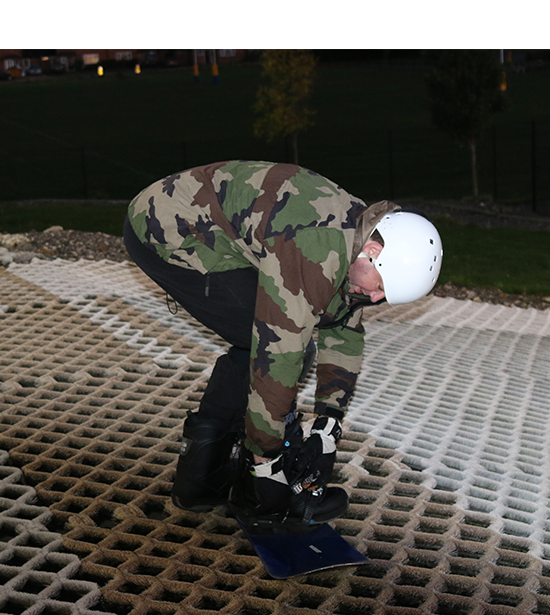 If you’ve got visions of shredding through the powder off piste on a board, or bouncing your way through the snow park, we can get you started! Check out your snowboarding options below. Never been on a snowboard before? Been before, but need to brush up? There are three options to snowboard with us. The most economical way if you are learning on your own. The course is 4 one and a half hour sessions, in a group of between 3 and 6 people, minimum age 12 years. 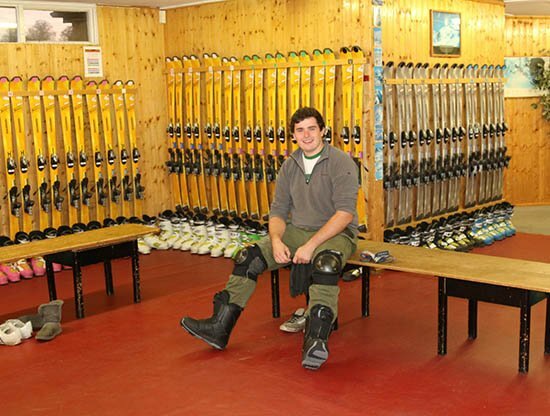 The cost is a little higher than for skiing because learning to board is a very hands on process (ie the instructor actually holds you hands!) so the group has to be much smaller. An hour with you and your own instructor. You can have up to 5 people of similar ability in a private lesson, and the pricing means if there’s more than one of you this is usually better value and more convenient than the course. These are available on Thursday and Sunday evenings from 5.30 till late (and occasionally at other times by arrangement). Minimum age 9, but must be a minimum of 135cm tall. Price from £55 per hour. Once you’ve developed a certain level of skill with us, your instructor will give you an open practice passport so that you can come and play during Open Practice (see passport details). If you’ve boarded before and just want a refresher, or to learn a bit more, the Beginners Course is obviously not for you, so come along and have a Private Lesson or two. If you’re hard as nails and want ramps, rails and half pipes, then sorry, we’re probably not for you. Open Practice is open to anyone who has had at least one lesson with us and has reached the minimum standard required to be given an Open Practice Passport. Sessions available Saturdays 4.30 – 6.30pm, Sundays 1.30 – 2.30pm (September to Easter), and sometimes at other times by arrangement. Cost £10 per hour including equipment hire. The cost of all sessions include boots, board and knee pads, but if you have your own gear, please feel free to bring it.